Our company was established in 2010 and since then we've helped numerous of clients to clean their households across London. 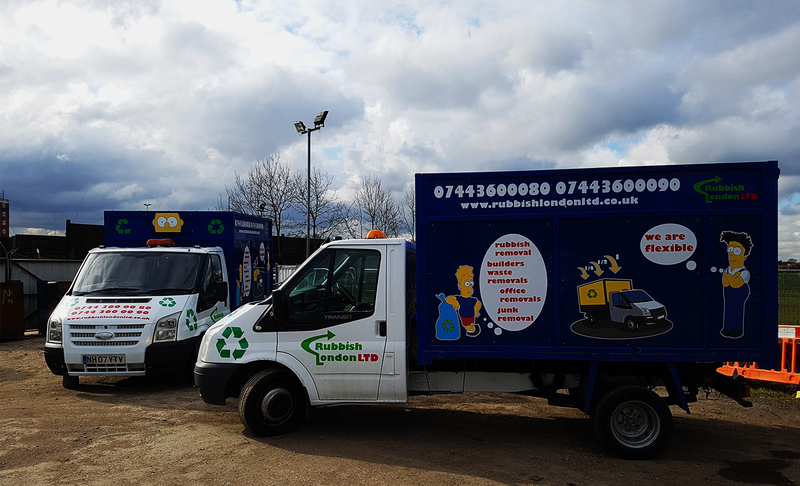 Our vans are designed to deal with single items or full load waste depending on your needs and requirements. We've been servicing domestic properties as well as commercial buildings striving for best quality customer service and competitive rates. No job is too big for us!You have our word for this. Rubbish London offers a straightforward and effective man and van rubbish collection service. We not only help you with rubbish removal but also assist you with the loading! We are a growing company that goes an extra mile to meet our customers expectations and aims to leave them satisfied with our services. We collect all the rubbish from single items to full van of household waste. Please visit our Services section for more details.